Residual stresses strongly influence the behavior of components produced by forming technologies. The residual stress state is decisive for component failure both during the manufacturing process as well as during subsequent use. For this reason, residual stresses have so far been interpreted as a property which has to be avoided. Models and experiments on fatigue strength show promising approaches to the potential use of residual stresses. 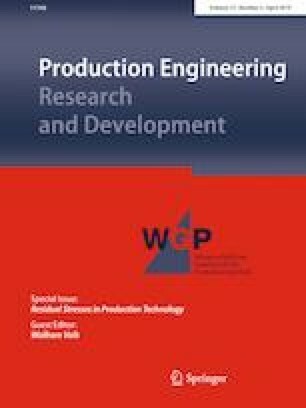 In the DFG Priority Programme SPP2013 which initiated this special issue, the aim is therefore to control and use residual stresses consciously with the aid of manufacturing processes so that they have a positive influence on the properties of components. Funded by the Deutsche Forschungsgemeinschaft (DFG, German Research Foundation)—VO 1487/29-1.